The parish and its surrounding area offers a diverse range of activities for all age ranges and interests: quaint market villages and hamlets, with diverse specialist shops offering superb service, historic Churches, monuments, halls and gardens and excellent safe cycle and walking routes. There are also easy links to the nearby attractions of Shrewsbury, Chester, Stoke-on-Trent at the heart of the Potteries, Ironbridge Gorge Museums in Telford, the RAF Museum at Cosford and Moreton Corbet Castle. For details of other places of interest visit the North Shropshire Tourism website – Hodnet is close to the town of Market Drayton. Places to stay and to eat: These are listed on the Hotels and Restaurants page in our ‘Local Services’ directory. 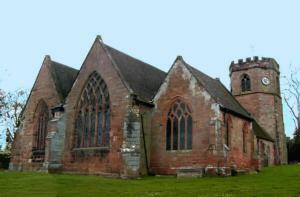 St Lukes Parish Church Hodnet This Grade 1 listed Norman Church is mentioned in the Domesday book. It boasts the only octagonal shaped tower in the county, and is thought to be constructed by the same stonemasons who built Caernarvon Castle. 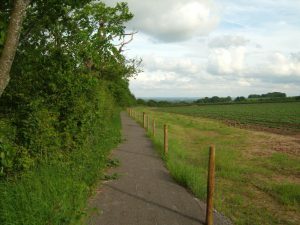 There are many circular walks available in the area of varying length and difficulty offering something for all the family. Once off the main roads, you are quickly transported into a rich rural landscape offering a wide variety of plant and animal life. Look out for birds of prey that are common in the area. Follow the link below for easy to follow walking routes. A series of leaflets with details of walks within the Hodnet area have been prepared by the Footpath Group. Details of the leaflets are available on a specially dedicated page in this section, from where it is also possible to download PDF versions of the leaflets. A good place to find information on walking in Shropshire is the Shropshire Walking website. Featuring a combination of quiet country lanes and variety of national cycle routes, this is the ideal area to get on your bike. 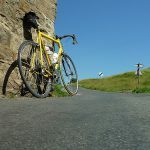 If you are fairly new to cycling or an experienced rider, you will find something to suit you. Plan to make a day of it stopping at one of the many local pubs for lunch or a coffee shop for a delicious cream tea. For further information on cycling in the area visit one or more of the following sites: Cycle Shropshire, Travel Shropshire or Shropshire County Council. Should your bicycle need attention whilst you are visiting the area the nearest cycle repair business is Brenin Bikes, in Market Drayton. Also in our Tourism section are pages with information on local halls, gardens and parks, as well as on a variety of leisure activities. Our Heritage section includes information on local history, buildings of interest, geology and wildlife. Please remember you fine out more about things to in North Shropshire on the local tourism website.